On February 29, Apple secured a major legal victory in its ongoing tussle with the FBI after a Brooklyn court ruled that the US Department of Justice cannot force the company for assistance in unlocking an iPhone in a separate drug case. The decision boosts Apple’s position against a California court order that asks the technology giant to create specialized software to help the FBI crack open the iPhone used by one of the perpetrators in the San Bernardino shooting incident. Apple is due to submit its filing to oppose the ruling by Magistrate Judge Sheri Pym by March 4. 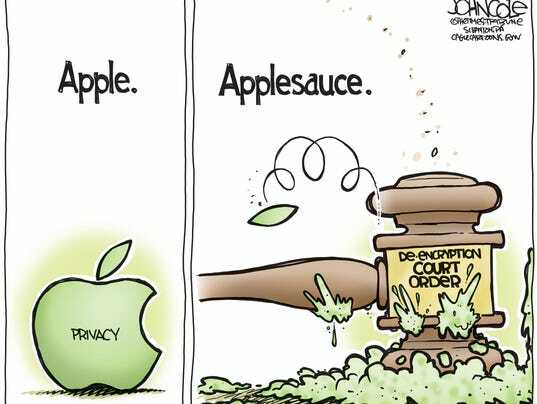 Here is what you need to know about Apple vs FBI. What’s the issue all about? In December 2015, a training event held by the San Bernardino County Department of Public Health was attacked by an armed married couple, leaving 14 people dead and 22 injured in the shooting. The ensuing FBI investigation turned up an iPhone belong to one of the attackers, Syed Farook. Now Farook had disabled his iCloud account, so this left potential evidence residing inside the phone only. Apple was then ordered by a US federal court to assist investigators in providing access to the phone’s encrypted data, which the company has declined to do so. ‘ In today’s digital world, the “key” to an encrypted system is a piece of information that unlocks the data, and it is only as secure as the protections around it. Once the information is known, or a way to bypass the code is revealed, the encryption can be defeated by anyone with that knowledge. ‘Rather than asking for legislative action through Congress, the FBI is proposing an unprecedented use of the All Writs Act of 1789 to justify an expansion of its authority. Is Tim Cook’s stance correct? Should Apple deny assistance to the FBI? Well, public opinion is certainly not on the company’s side. A survey by the Pew Research Center revealed that 51% of US citizens want Apple to acquiesce to FBI’s request, while only 38% are against it. Debates about surveillance and privacy issues have intensified after the Edward Snowden revelations exposed massive government surveillance in both the US and UK. However, consider the crux of the argument here. There is a term known as ‘End-To-End Encryption’, which is essentially a technology for secure communication between two parties. If you are sending a WhatsApp message to a friend, the data will be encrypted till it reaches your friend, and no third person will be able to intercept the contents during transfer. This process involves the use of cryptographic keys to decrypt the data once it reaches the end user. These keys are stored on the device itself, not on the company servers. Even if we consider the unlikely event of a benevolent government coming to power (since it’s probably going to be Hillary Clinton vs Donald Trump now- the former a hawkish proponent of rigid government policies and the latter a bombastic buffoon given to aggressive posturing and jingoism), there is always a chance that a malicious hacker gets hold of such ‘backdoor’ software, potentially leading to a doomsday situation where your private data is always at risk. Apple has already provided enough help to the FBI in previous cases and in this case as well. Law enforcement agencies have a plethora of options at their disposal to collect digital evidence- they can access data stored on online services like iCloud and Google’s Gmail through search warrants, get phone call and text messages records from companies like Verizon and AT&T, and also use internet-connected sensors, cameras and other devices to collect information. Overreaching its authority by justifying its use in a solitary case seems more like a shrewd attempt to expand surveillance. After all, the government is clearly aware that hyping up security threats will touch an emotional nerve with American citizens. No doubt, this case will end up generating more sales and publicity for Apple and Tim Cook, whether the final decision is in its favor or not. However, Tim Cook is spot on in his observations of erosion of privacy and civil liberties for the average citizen if the FBI gets hold of such a ‘backdoor’ software. The needs of the many most certainly do outweigh the needs of the few.